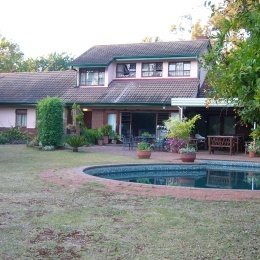 This is a lovely family home set in large garden with swimming pool. There is a live-in maid who cooks and a gardener. The house is close to good shops, restaurants, the university. The house is opposite the Vatican Embassy. Another great stay with Val! Val took me rock climbing every Wednesday evening with the Mountain Club of Zimbabwe. I explored the nightlife of Harare fairly thoroughly, there are some great things to do which Val can recommend. Hoping to be back for HIFA in April/May (http://www.hifa.co.zw/). Val is the best host ever! Her home is in a very pleasant suburb of Harare halfway between Borrowdale Village (shopping mall and restaurants) and the city centre (where HIFA is hosted annually). 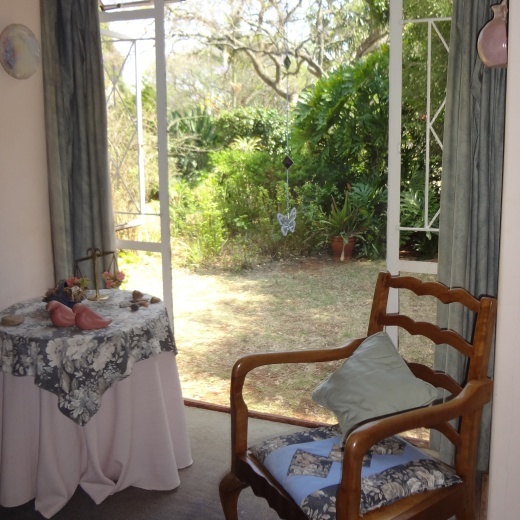 It is set in a cosy garden surrounded by big trees and in a very safe neighbourhood. The staff, Theresa and Jason, are charming and will go out of their way to make you comfortable. When Val isn't running her business, she's busy rock climbing, playing tennis, line dancing, playing bridge, hiking in the mountains around Zimbabwe, or involved in some other crazy adventure. She'll likely get you involved! She's an expert on HIFA too, so probably the best person to stay with during the HIFA period. I really enjoyed my stay. I had to give this review 5 stars! Val is a wonderful host and a lovely welcoming person. I stayed here for 3 weeks while visiting Harare and was well taken care of. The house is nicely located in a safe neighbourhood and Val's staff were very helpful. Val aside from running a pharmacy is also the head of the Mountain Club of Zimbabwe so every week where we got to meet a great group of mountain/rock climbers over a BBQ (braai) out at their clubhouse. The house is a great value option for anyone wanting to experience Harare in a safe and comfortable environment.